The single most important issue when providing anti-retroviral drugs to people living with HIV/AIDS is to monitor drug adherence, which without, will lead to individuals developing drug resistance, which is irreversible. With this in mind, individual case management and adherence monitoring is critical and should be a prerequisite for any company, clinic or NGO prior to providing anti-retroviral therapy. 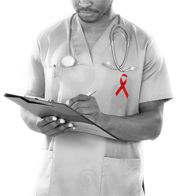 LifeSense employ dedicated doctors and Case Managers in South Africa and who are each responsible for groups of people living with HIV/AIDS. The LifeSense Medical Advisor is responsible for making treatment recommendations, including the authorising of appropriate ARV therapy based on pathology results. The Case Managers act as a support mechanism and counsellor for the individuals in their care. The major responsibility of a Case Manager is to ensure that the patient prescription, authorised by the Medical Advisor, is electronically forwarded to the drug distributor and ARV therapy has been sent to the patient and that the patient is counselled on the correct use of the drugs prior to be handed the drugs. The Case Manager also has the responsibility of ensuring ongoing contact with the patient to monitor the correct use of the dispensed drugs. 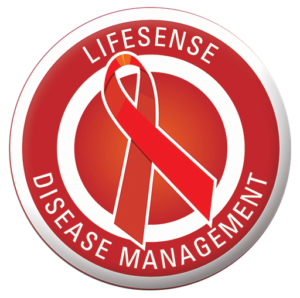 LifeSense Disease Management has been managing and providing its clients with a complete management programme for HIV and AIDS to ensure that members on the LifeSense programme remain clinically healthy, productive and active members of the community.